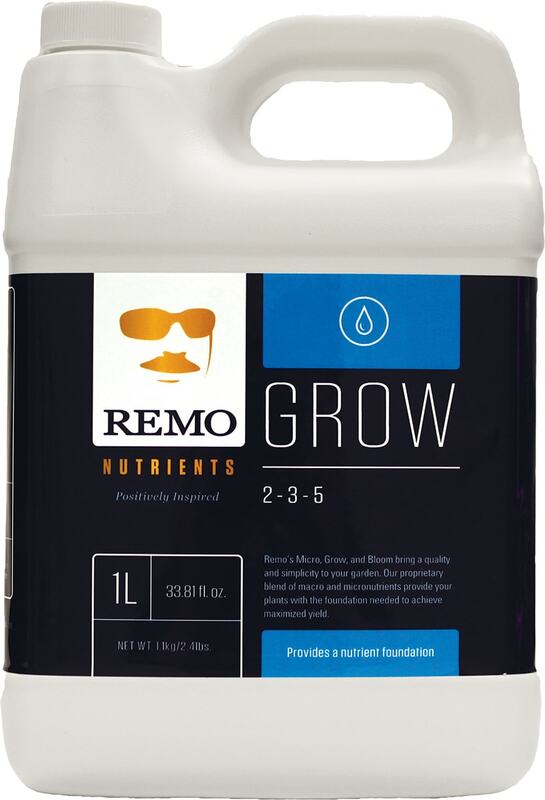 REMO Grow brings a quality and simplicity to your garden. This proprietary blend of macro and micronutrients provide your plants with the foundation needed to achieve maximized yield. 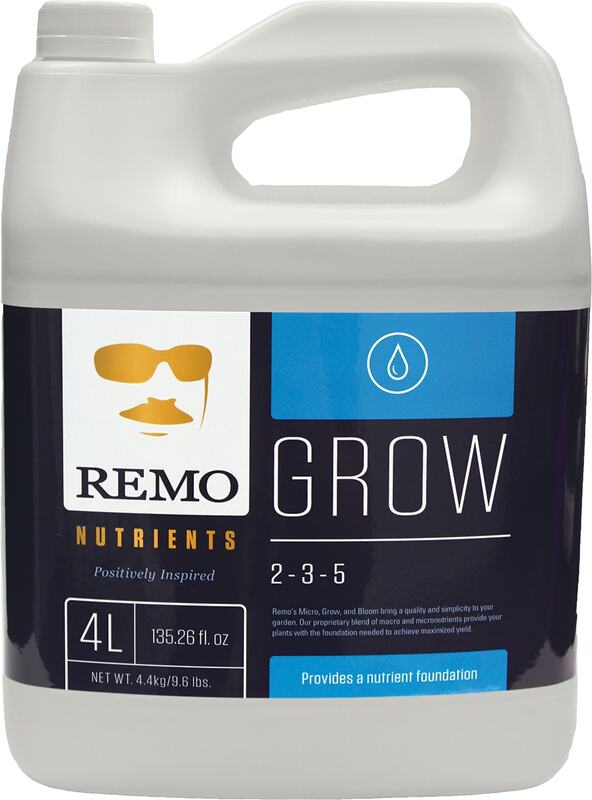 REMO only uses pharmaceutical grade minerals, marine extracts and the finest chelates to ensure consistency and pH balance.